At St. John Sapulpa, we know some patients can benefit from continued hospital treatment. St. John Sapulpa is committed to the continued recovery of patients who no longer need the level of medical care provided in an acute care hospital, but are not yet well enough for discharge to their homes. Our 12-bed skilled care unit incorporates skilled nursing with physical rehabilitation to help patients meet their maximum potential. St. John Sapulpa offers full-time physicians, located in the hospital, who specialize in managing the clinical needs of our patients and are available on the floor seven days a week. 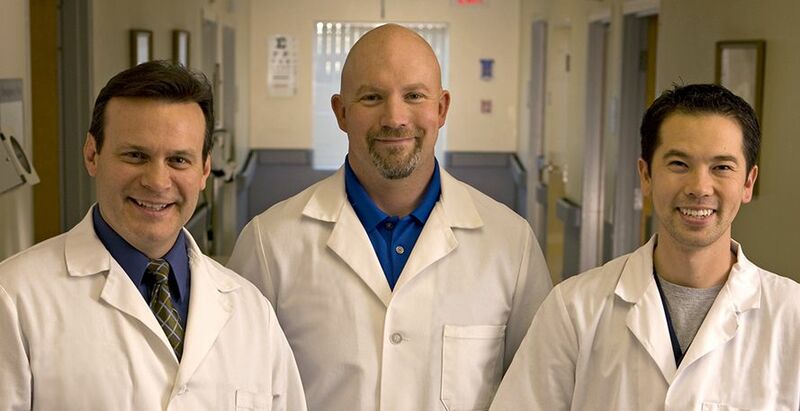 Our physicians will closely monitor your care during your stay to ensure you receive the safest quality care. For more information or to inquire about skilled care unit referrals, please call 918-227-8613. Skilled care is provided when you need specialized nursing or rehabilitation staff to evaluate, treat and manage your care. Examples of skilled services include intravenous medications, wound care and physical therapy. Patients most often stay in the program until they can safely continue their rehabilitation at home or at another location. Who is the skilled nursing and rehabilitation team? What does skilled rehabilitation do? St. John Sapulpa’s licensed nurses, specializing in skilled care, work with rehabilitation specialists to help improve your condition within a predetermined time period, or set up a maintenance program to maintain your current condition and prevent relapse. Following a qualified acute care stay, patients may be referred by physicians, acute care hospitals or other healthcare professionals for admission to skilled bed status. St. John Sapulpa offers 24-hour skilled nursing services and a physician on the floor 7 days a week. Who will benefit from skilled care? Is skilled care covered by insurance? Medicare covers certain skilled care services needed daily on a short-term basis (up to 100 days). Length of stay in our skilled care program is dependent upon the individual patient needs and progress. We accept Medicare and certain managed Medicare plans. Some private insurance plans also cover skilled care services.